If you’re a Star Wars fan, saying this is a good weekend is a massive understatement. 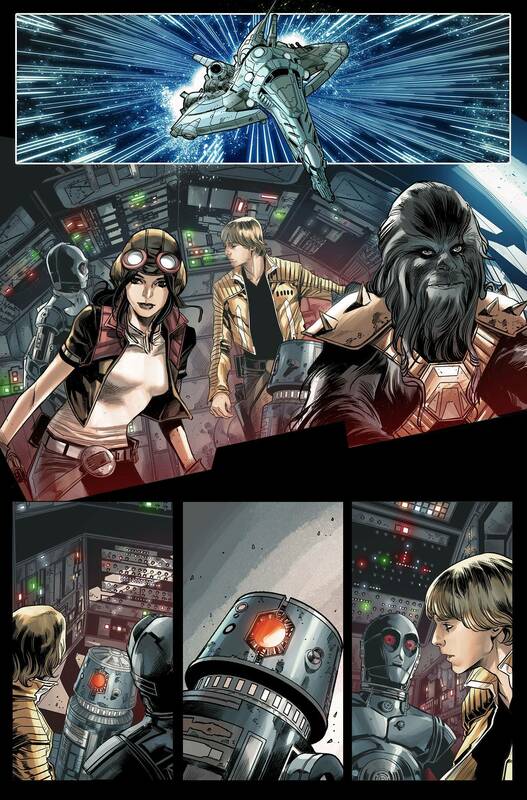 Not only is the Star Wars Celebration in Orlando yielding truckloads of news, but you’re also about to get your first look inside the opening chapter of what will prove to be a can’t miss crossover. 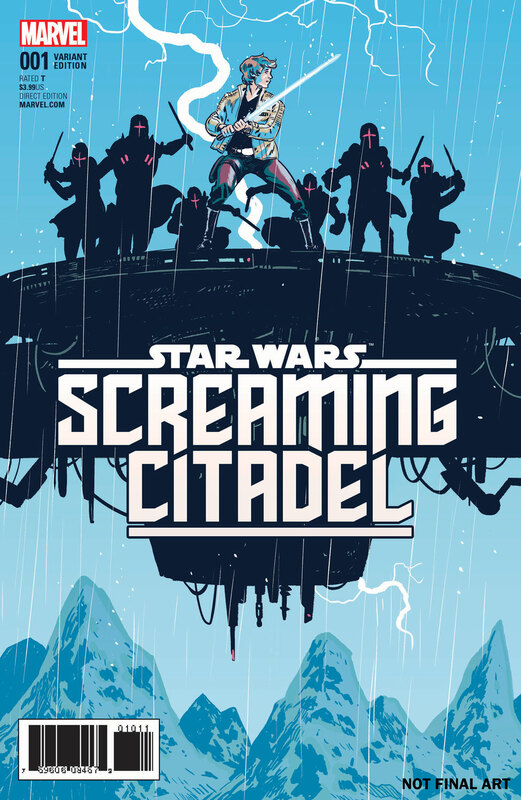 In short, this five-part story will kickoff in a matter of weeks with Star Wars: The Screaming Citadel #1, a one-shot that unites writers Jason Aaron (Star Wars, The Mighty Thor) and Kieron Gillen (Star Wars: Darth Vader, Star Wars: Doctor Aphra), effectively allowing them to set the stage for what’s to come in their respective series. 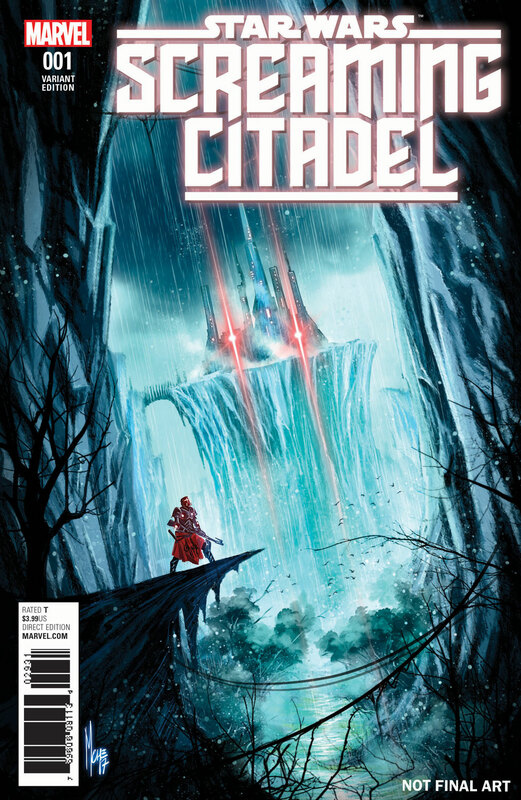 And although the preview at the top remains unlettered so we can’t infer too much about the plot, you have to admire Marco Checchetto’s jaw-dropping interiors nevertheless. 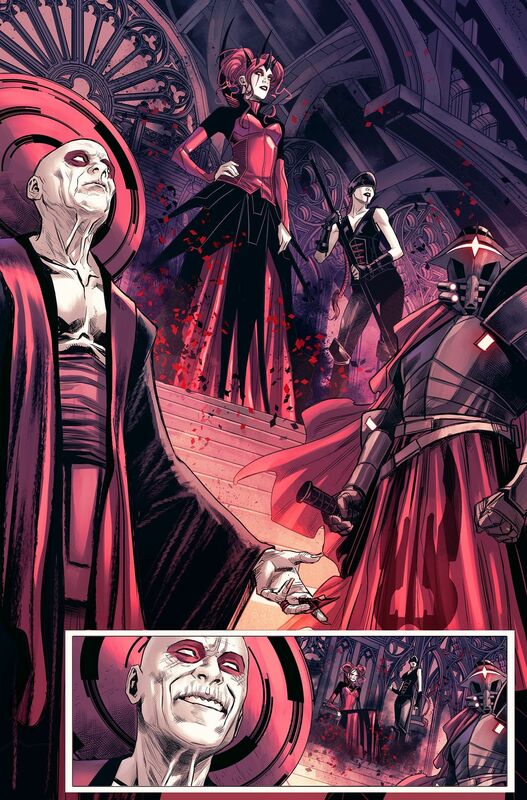 Really, it’s no wonder why Star Wars books consistently make Diamond’s Top 10 each month. 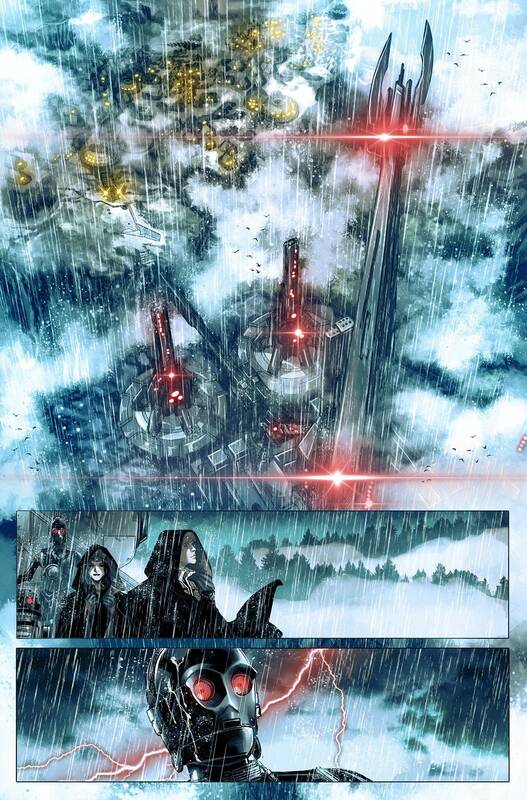 Aside from having the “Star Wars by way of Marvel” appeal that comes along with, the publisher continually lands top creators for these projects. 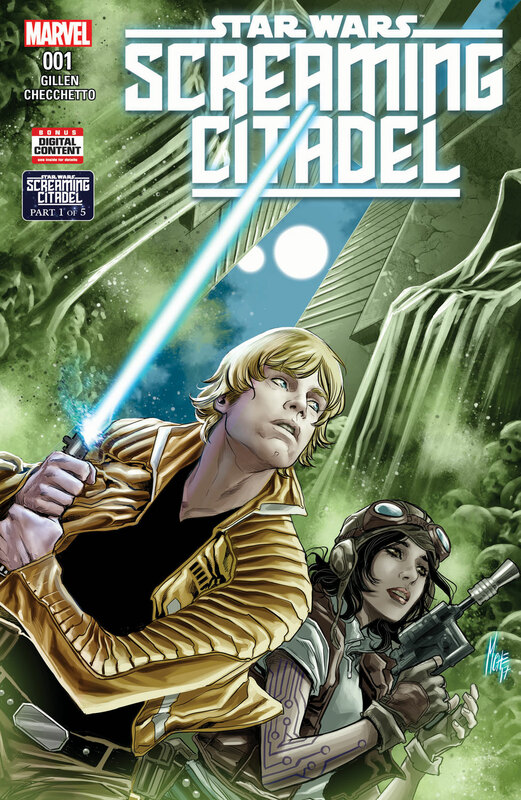 Rebel pilot and rogue archaeologist wander side-by-side into the darkest corners of the galaxy as Luke Skywalker reluctantly teams with Doctor Aphra! The good Doctor has an offer for this flyboy farm boy – help her, and she’ll provide him with information crucial on his quest to become a Jedi. 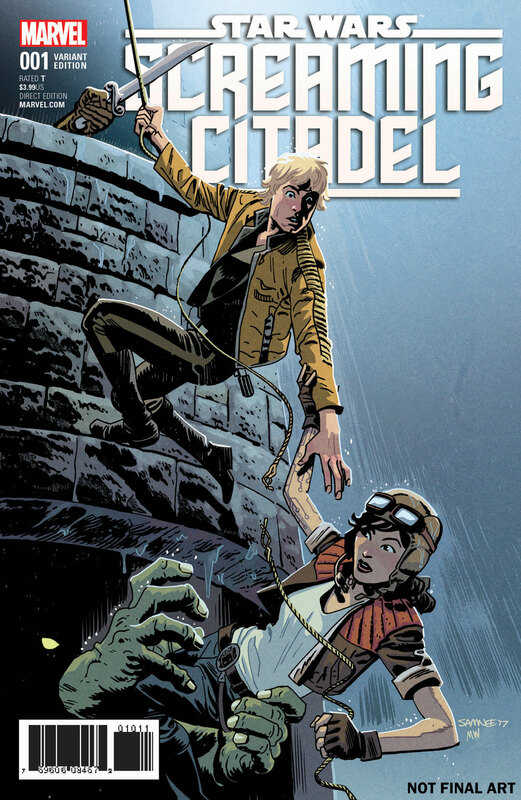 With an offer he can’t refuse on the table, this unlikely duo finds themselves deep into the heart of the infamous Screaming Citadel! Can Luke find what he’s looking for? 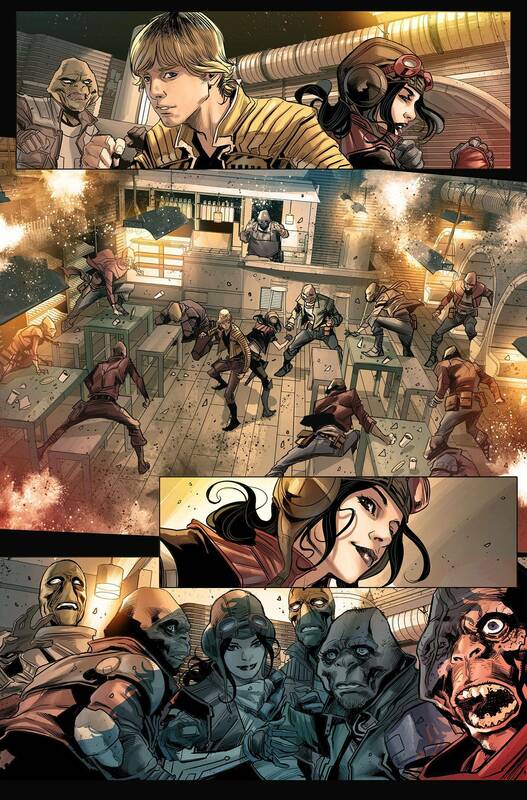 Can Aphra be trusted? 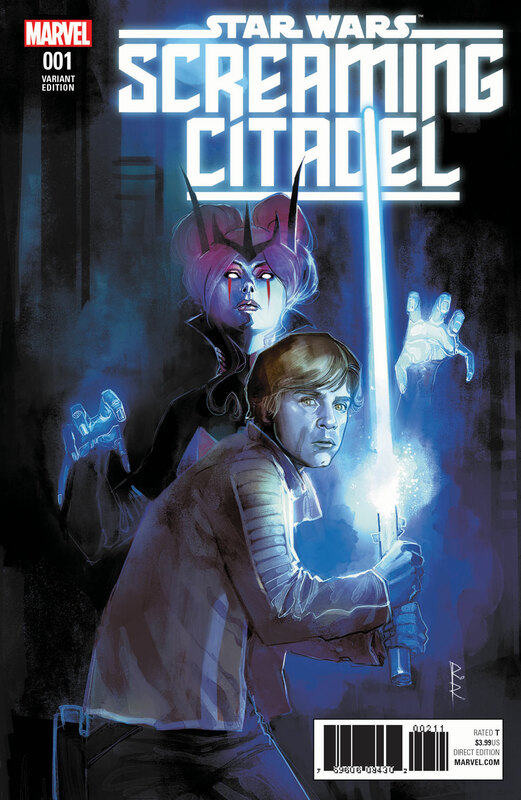 Or will the Citadel’s Queen and the dark forces lurking within make their journey a one-way trip? !